Are you coming to see me in the UK??? 1. If you want to purchase books from me to sign, you must preorder them. Shipping expenses are very high so I don’t want to ship books that I don’t sell or even worse, not have enough books to sell by the time I get to Cardiff. The only way I know to make sure everyone gets the books they want is to have you preorder them. You can preorder them from me OR you can purchase them yourself. They are available on Amazon and last time I checked, Forbidden Planet in London has copies of my Curse Keeper series. If you want to preorder books, click on this link. 2. 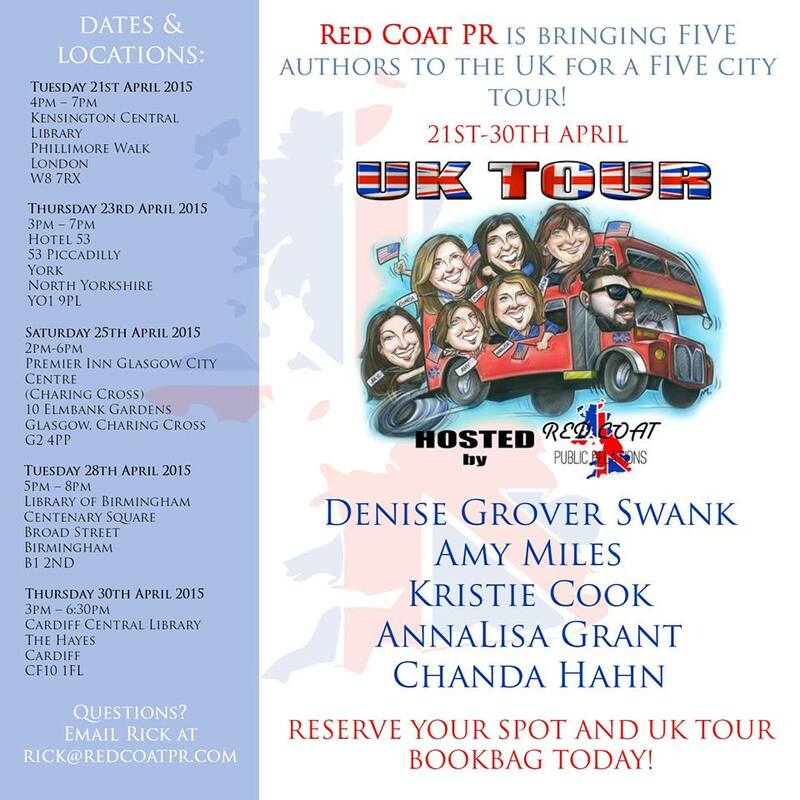 If you want to guarantee your admittance into the signing of your choice, preregister and get an official UK Tour bag. The price is £5. You can sign up for your book bag with this link. 3. I’m bringing special swag to readers who let me know they are coming! There are three ways to tell me you’re are coming. You can preorder books (see #1 above) or preregister for an event. (see #2) But if you are bringing your own books and you don’t want to preregister for a bag, you can just say, “Hey! I’m coming to see you!” To let me know you’re coming, click on this link. I am so excited to come meet you all!!! Only four more months! Hi Denise, I think Cardiff should be a meet and greet. After reading about the Kansas one, I’m slightly jealous! I have preordered my book and tour bag :D Can’t wait to meet you !